It's time to read! Do those words cause chaos and gnashing of teeth in your home? They don't have to. Encouraging your child to read and providing them with an environment conducive to reading and learning is important in their growth. 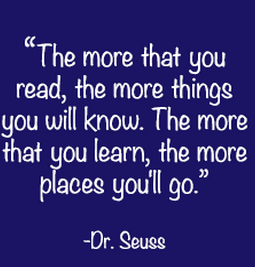 The more time kids spend reading, the better readers and students they become. Julie Varney, a Junior High Language Arts teacher at Greater Atlanta Christian School, says that reading is the foundation of all learning, "Reading promotes imagination, sparks creativity and innovation, and it gives an avenue for kids to discover anything and everything about God's creation."